Retail accounts consist of retail stores that have the customers present during transactions. 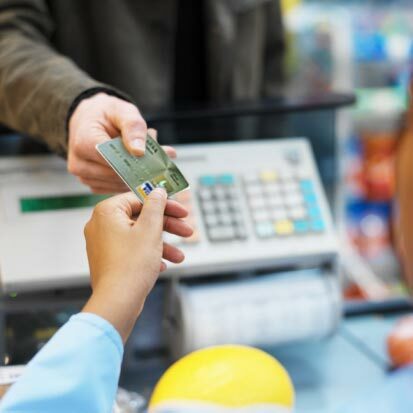 Credit Card Transactions occur mostly when the transaction is done face-to-face and the credit card is physically swiped through the credit card terminal. Wireless or mobile transactions are done with wireless equipment that have the capability to perform credit card transactions. The transactions are performed with a wireless terminal, laptop computer, or a mobile phone. Internet accounts are done online, either through a shopping cart built into your website or through an online gateway where you manually enter the transactions. For a Free Quote, fill out our Short Application online - a sales representative will contact you within 24 hours. It's free, and there are no obligations. Merchants receive Visa/Master Card, Discover, and AMEX processing monies within 12 hours GUARANTEED!! Over 900 customer service representatives are ready to assist you with your merchant account, at any time. Our online merchant accounts data, transaction summaries and batch detail reports mean no more waiting for statements to balance your books! Our fast merchant services team will allow you to accept credit cards as soon as possible and boost sales immediately. We employ experienced, salaried merchant services representatives, who are genuinely looking out for your best interests. A state-of-the-art-network ensures your credit card processing transactions go through when you need them to. Peace of mind. Our expertise and personal service allow you to run your business without worrying about your merchant account or your credit card processing services.